Meet Isaac – a husband, father and successful entrepreneur. A self-taught farmer, Isaac learned how to cultivate the land from reading books and personal experience. Early on, Isaac recognized the benefits of irrigation over using buckets of water to keep his crops healthy. Before he came across KickStart’s pumps, he used a petroleum pump, which quickly became too expensive and inefficient to fuel and maintain. A year after upgrading to a prototype of KickStart’s solar powered pump, Isaac is not only now able to put food on the table, but he also has gained back his independence. Isaac likes that the solar pump is easy to set up and works on its own; he can physically leave the pump alone to go work on other things, which is especially convenient for someone with a second job and a family that lives away from the farm! He always brings produce home to his wife and daughter, and loves to see his family thriving when they have plenty to eat. When I look at KickStart, I see real partnership. and [this] can only be seen as a partnership, because it is based on trust. 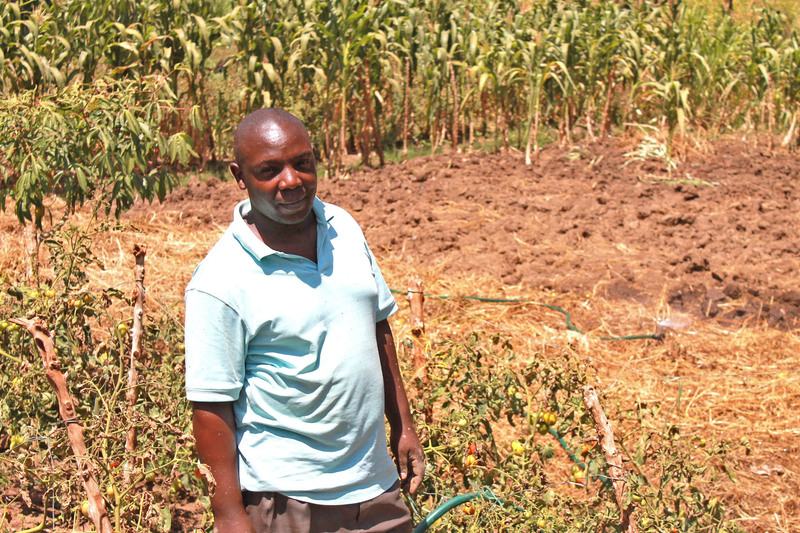 By harnessing the power of irrigation, Isaac has created a bounty of ripe tomatoes, pumpkins, and maize, which generate enough additional income for him to drastically change his way of life. Having already made enough money to purchase a car for the first time, Isaac dreams of expanding his business and starting a second farm. Together with partners like you, KickStart empowers Isaac and other farmers to launch profitable farming businesses and climb into prosperity. Your support powers the research, design, field testing, and training that are at the core of KickStart’s product innovations.